Today in the Grapevine dental blog we are going to talk about stomatitis. Stomatitis is dental-speak for something very common: non-specific irritations found in the mouth. Stomatitis is generally caused by cold sores, gum disease, or even from biting the inside of the mouth (ouch!). Any time the membranes in the mouth become inflamed, they are referred to as stomatitis. Most Colleyville, Southlake, and Grapevine dental patients have probably suffered from stomatitis and don’t think it’s a big deal. The good news is that these patients are usually right because the majority of these irritations clear up on their own in less than two weeks. While they might affect the ability to speak or eat or fall asleep, they are frequently just a temporary inconvenience. Because of this possibility, your Grapevine area dentist should be aware of these issues. Even if you are fortunate and there is no infection present, your dentist can always help you treat the symptoms of stomatitis. Hi, my name is Dr. Scott Mason of Mason Cosmetic & Family Dentistry in Grapevine. 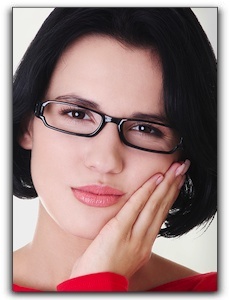 I provide the highest quality preventative, restorative and cosmetic dentistry for my Grapevine area patients. If you have any questions about implant restorations, implant-supported dentures or smile makeovers, give us a call at 817-481-4717. Common cosmetic dentistry procedures used in cosmetic dental smile makeovers include teeth whitening, gum contouring, veneers, bonding, and dental implants.